Oasis Travel Ltd is one of the most successful independent Northern Ireland Travel Agents. We pride ourselves in providing the best possible Travel advice and service, and are constantly striving to find the best deals for our customers. Book hotel and theatre breaks, Car Rental and arrange Travel Insurance - All from the Oasis Online Booking Website. 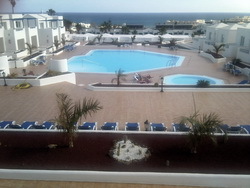 Address: Centro Comercial Matagorda Local 71, Puerto del Carmen, 35510, Lanzarote. Lisburn Travel Clinic is a private service run primarily on behalf of the GP’s in Lisburn Health Centre. We are a registered Yellow Fever centre and can give this and other travel vaccines to patients referred by other GP’s in Northern Ireland. During your visit to Lisburn Travel Clinic you will have a consultation and risk assessment with one of our dedicated team of travel health nurses. This will enable the nurse to give you the best possible and most up to date information on what is required or recommended for the areas you are travelling to. You will also receive general travel health advice and relevant information leaflets that will enable you to make informed decisions regarding your good health throughout your travels. The information on this site is purely general information is not intended for use instead of a risk assessment as it is not traveller specific. We look forward to welcoming you to Lisburn Travel Clinic and we want to ensure your good health and safety as you travel.